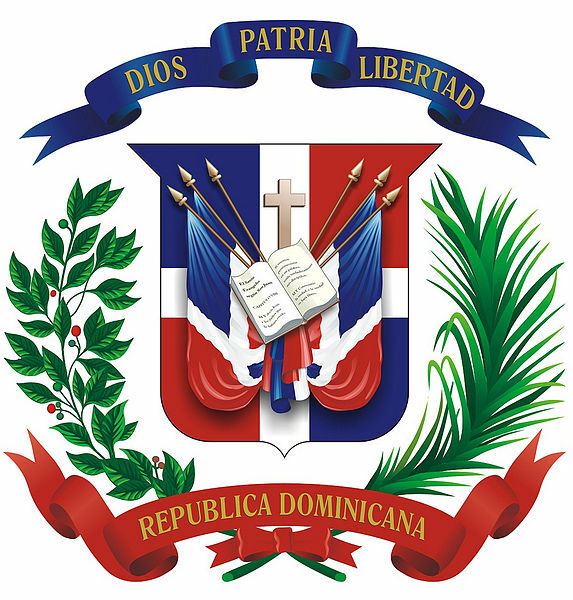 Descriptions of the national symbols and patriotic items that represent the country and the people of the Dominican Republic. The Dominican Republic flag was officially adopted on November 6, 1844. The blue and red are from the flag of Haiti, which once controlled the Dominican Republic. The white cross is a symbol of faith. The colors of the flag have very special meanings. Rojo bermellón / vermilion red represents the blood shed by the liberators and heroes of the fatherland. Azul Ultramar / ultramarine blue represents ideals of progress and liberty and that God protects the Dominican nation. The white cross is the symbol of the struggle for a free homeland, peace, the sacrifice and unity among all the Dominican people. 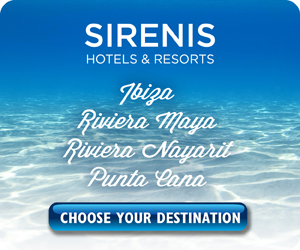 Modern descriptions of the colors state that the blue represents the sky. Red is the fire and bloodshed by the patriots and people in the struggle for freedom. White represents dignity, the peaceful character of the Dominicans and their dedication to peace. The Escudo or Coat of Arms is centrally located in the white cross. The Dominican Republic flag is the only flag in the world with a symbol of a bible on it. The merchant ensign flag is the same as the National Flag without the coat of arms and this flag is considered to be the civil flag. What is the pledge to the flag? Do you know the Dominican Republic National Anthem Quisqueyanos Valientes? The Flag of The Dominican Republic was aboard the U.S. space shuttle in 2006. U.S. Rep. Jose E. Serrano asked for this to happen to thank the over 100,000 Dominican constituents living in the Bronx district of New York, USA. The official announcement was made Monday 22, 2006. After the flag gets its ride on the shuttle, where no Dominican has ever been, the flag will be on display at Eugenio María de Hostos Community College located in the South Bronx, New York City. This college, named for Puerto Rican independence advocate Eugenio Maria de Hostos (he buried in the Panteón Nacional of Dominican Republic), had a special ceremony for this permanent exhibition. This is a big honor for the Dominican people as a whole. It shows that the USA recognizes the contributions that the people of the Dominican Republic have given to the United States. The old version of the Dominican Republic Coat of Arms / Escudo Nacional Republica Dominicana with the red ribbon flowing downward. 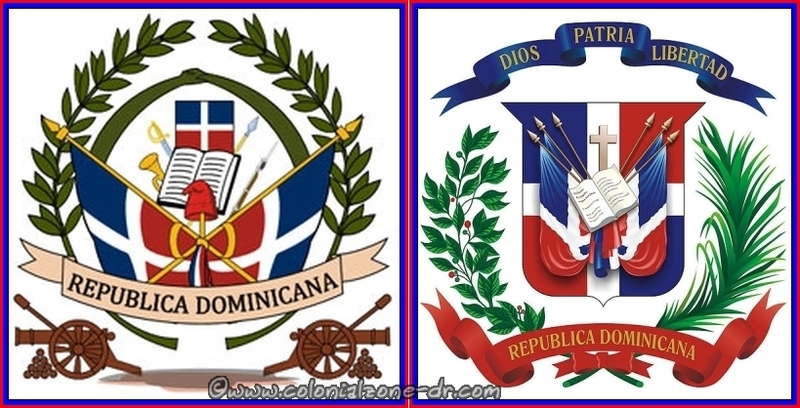 *There have been at least 14 different shields that have been used on the Dominican Republic flag in the past. Casimiro N. De Moya designed the current shield. It was issued by the government of Monseñor Nouel and was adopted as the official shield in 1913. *In 2010 the constitution was amended to make a rule on the form of the coat of arms as before no definite law existed. Article 32 (written below in Spanish with my English translation) states the bottom red ribbon faces upward. Thus many of the flags center shields are incorrect because their vermilion ribbon faces downward. You will notice that Parque Independencia coat of arms, as with many of the escudos in the country, is an old version of the coat of arms. Thanks Alexis for the updated information. *The escudo has the same colors as the flag. *The Bible is the center of the escudo and is open to the Gospel of St. John, Chapter Eight, Verse Thirty-Two (John 8:32) with a golden cross floating above. *There is a laurel branch on the left side of the shield that represents immortality. *The palm branch on the right represents Liberty. *This is topped by a blue ribbon that symbolizes glory with the Trinitarian motto: DIOS, PATRIA, LIBERTAD / “God, Fatherland and Liberty (Freedom)”. Complete information about the flag in Spanish. Artículos 32 (el artículo 32 modificado 2010) – El Escudo Nacional tiene los mismos colores de la Bandera Nacional dispuestos en igual forma. Lleva en el centro la Biblia abierta en el Evangelio de San Juan, capítulo 8, versículo 32, y encima una cruz, los cuales surgen de un trofeo integrado por dos lanzas y cuatro banderas nacionales sin escudo, dispuestas a ambos lados; lleva un ramo de laurel del lado izquierdo y uno de palma al lado derecho. Está coronado por una cinta azul ultramar en la cual se lee el lema “Dios, Patria y Libertad”. 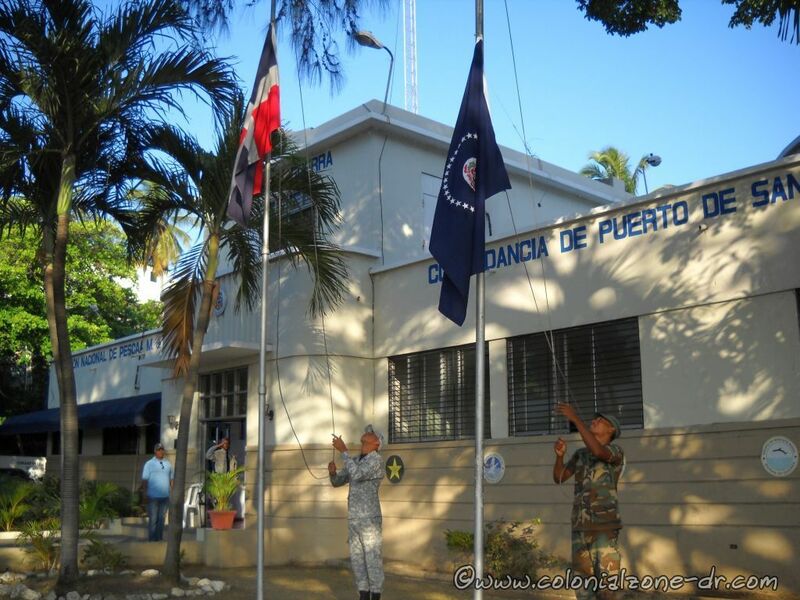 En la base hay otra cinta de color rojo bermellón cuyos extremos se orientan hacia arriba con las palabras “República Dominicana”. La forma del Escudo Nacional es de un cuadrilongo, con los ángulos superiores salientes y los inferiores redondeados, el centro de cuya base termina en punta, y está dispuesto en forma tal que resulte un cuadrado perfecto al trazar una línea horizontal que una las dos verticales del cuadrilongo desde donde comienzan los ángulos inferiores. The Dominican Republic constitution in Spanish. The National Stone of The Dominican Republic. 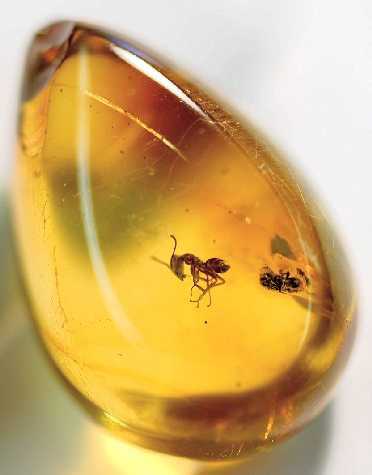 A sample is of Dominican amber, Miocene epoch that is 23.8 to 5.3 million years old. You can find more information about Dominican Republic amber. In 2014 Merengue was declared to be the music of the country. More information about Merengue and some of the musicians who play this newly declared national music. 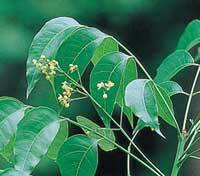 The flower of the Caoba was the national flower as declared on July 16, 1957 by decree number 2944. There was always confusion about the national tree and flower and now it is clear. 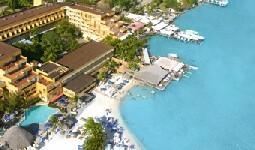 On July 12, 2011 la Rosa de Bayahibe was declared to be the National Flower. There was always confusion about the national tree and flower and now it is clear. 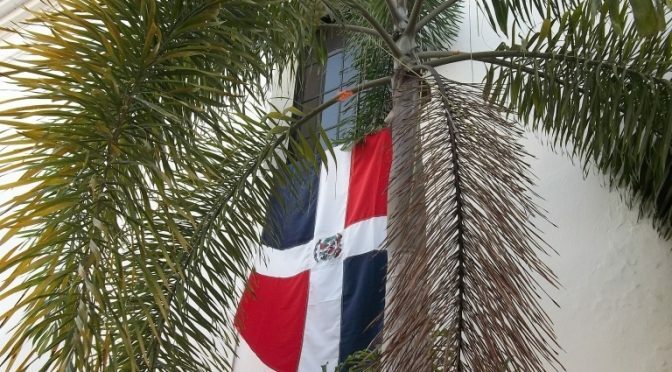 As of July 2011 Dominican Republic finally has their national tree. On July 12, 2011 President Leonel Fernandez passed the Law 146-11, which designates the Mahogany tree to be the new official tree of Dominican Republic. 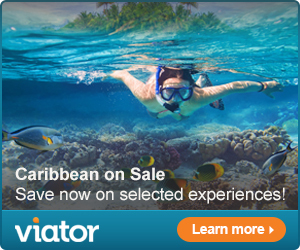 This cute little songbird is found on the island of Hispaniola. 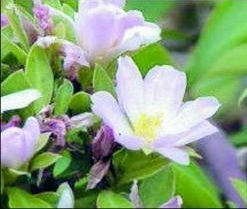 It adapts easily to all areas of the country and can be found in abundance. 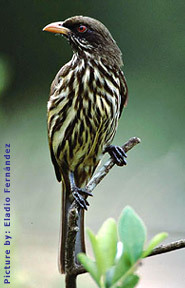 The Dominican Republic National Bird The Palmchat / Cigua Palmera are sitting at the top of a tree in Santo Domingo. The Palmchat prefers to be where there are many palm trees (this is where they got their name). They are communal birds. 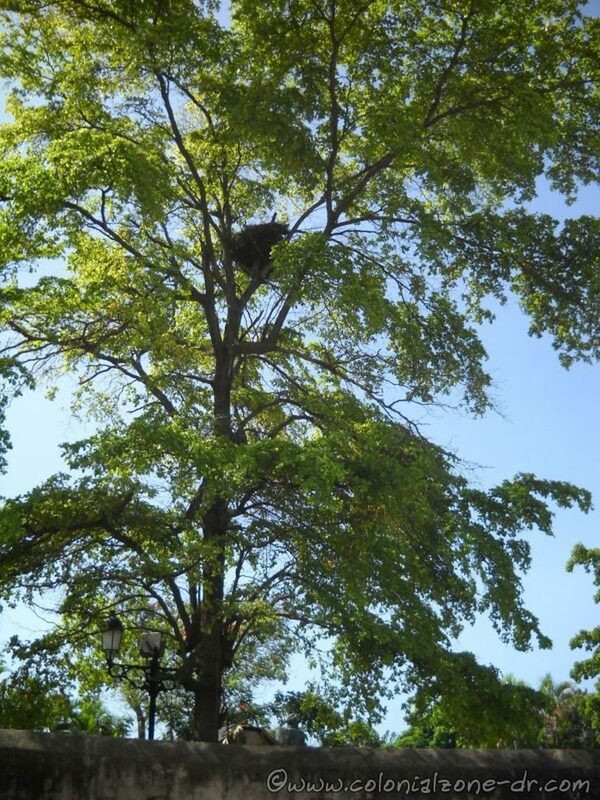 The nests are large, messy and usually found in large groups or communities. The nests can usually be found in the tops of Royal Palms or atop any other high spot when the palm tree is not available. A Palm Chat / Cigua Palmera nest high in the tree top. They lay spotted greyish purple eggs, usually 2 to 4, from March to June. The song of the Palm Chat is quite loud with constant singing and squawking as they communicate with other birds. Palmchats are about 8 inches in length. They have an olive-brown creamy color on top and streaked with brown on the bottom. 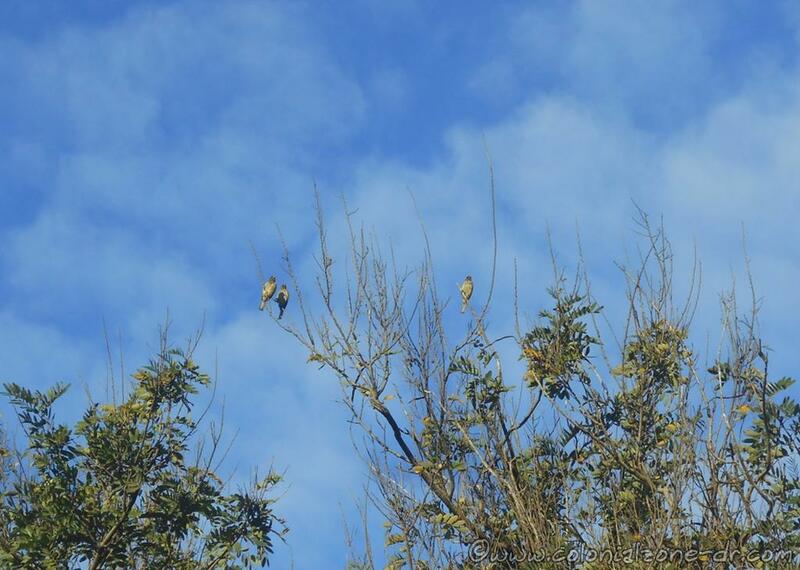 Their backside and the edges of their feathers are a dark yellow-green. They have large yellow bills and rust colored eyes.